Advanced Chemical Systems (ACS) has been solving water treatment challenges since 1977 by providing customizable solutions that optimize the technical and budgetary requirements of our customers. Working as part of your professional team, we provide the equipment, chemistry and industry expertise needed to customize programs that meet your unique requirements. Train your staff on system maintenance and application of wastewater solutions. Customized chemical and equipment solutions for water treatment in a wide variety of facilities and applications. High-performance products and equipment for the treatment of boilers, cooling towers, potable water, steam lines, and drains. Expertise and experience – from general safety and disease prevention to staff training, we anticipate and address concerns before problems arise. Once a system is installed, ACS provides ongoing coverage. We continue to train your maintenance personnel in testing, basic water chemistry and safety. ACS works with you to monitor the effectiveness of your system, making improvements as needed. We personally assist you in re-ordering consumable products, including water treatment products, filter media and replacement parts. 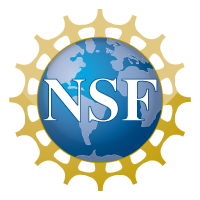 In an effort to further industry research and product development, ACS partners with both the National Science Foundation and the Center for Technology Commercialization.